• Analytics in player and game performance. 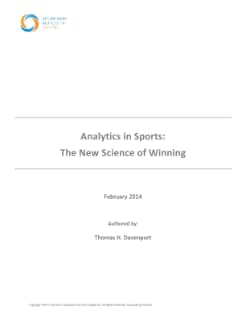 • Business analytics in sports. • Player health and injury analysis.